The finish grade is contoured to collect surface water and divert the water away from structures or assist with the positive drainage through lawns and planting beds. Berms are constructed by raising the existing grade to divert surface water away from structures and plantings. Some circumstances require using a berm in conjunction with a catch basin to trap the surface water and divert it into the catch basin. 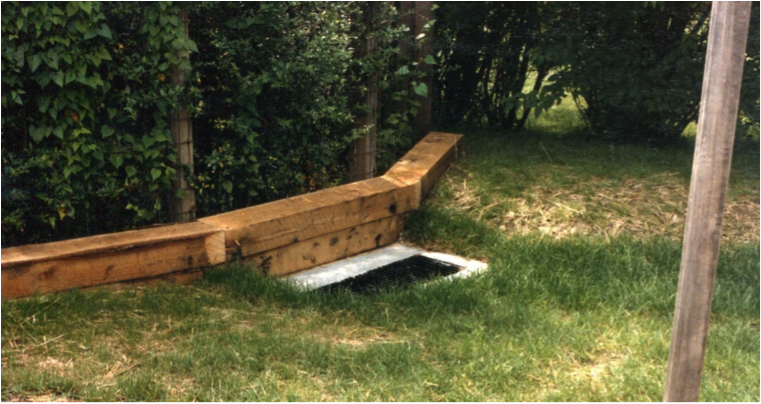 Timber diversions are used when a swale or a berm cannot be constructed to divert surface water.